The past few months, I’d been thinking about what I was going to do during the summer. What was to occupy my time? Obviously, these blogs and the sermons I record for the website are first and foremost in my mind to do. And I have a summer bus route, but that won’t take as much time as driving during the school year does. Also, there’s the D&D game I DM. But I spent time thinking about what else I could do. Because, obviously, I’ll have plenty of time. During these brainstorming sessions, I thought about two other things. One is beginning the process of making a tabletop RPG of my own design. That one will take far longer than just the summer, so it’s a long-term thing. But the second thought was to write a theological book. I want to take some of the things I write here and push them together into a more cohesively whole thought. “Thriving Spiritually in The Depths” is the subtitle. That kinda gives you the progression of thought for the book. So, with my route having ended this past Monday, summer officially began for me. 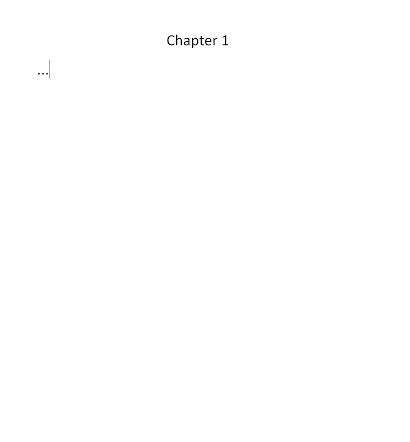 On Tuesday, I sat down to start writing Chapter 1. I started off pretty quickly. Excitement driving me to put thoughts to the page. But after about an hour of writing, I felt the urge to just get everything I wanted to write out of me. It was like it felt necessary to throw everything onto the page immediately. In trying to reign back my thoughts, so that they’d come out in proper order, I got frustrated. I tried to push on through, writing just to get words to the page. More frustration. I stopped for lunch and came back to it after a small time away from writing. It just wouldn’t flow well and frustration continued to grow. I believe that we often think about spirituality in a similar manner. We followers of Jesus know that holiness is the goal, to be like Jesus. But because of our sinful nature, our tendencies to lean toward rebellion against God’s ways, holiness is difficult. Oh, we start off strong. Right when we first come to follow Jesus, or after having attended a spiritual conference, or reading a good spiritual book, we’re all gung-ho. We just can’t wait to start moving closer to Jesus. It feels amazing. We want to shout from the rooftops about the awesome things God’s doing in our lives. We start to think about the time commitment. Unexpected interruptions put a damper on the spiritual fire. Old habits get in the way of the progress we’ve started making. There are so many things we want to do and learn and be. And we want it right now so that we can deal with life’s issues. But because this whole spiritual thing doesn’t go as smoothly or quickly as we expected, our frustration tells us it’s not worth it. And we want to quit. Some of us push through with brute force. We know this is good for us, and like medicine, we just keep trying to push ourselves to grow spiritually. But in the end, we don’t progress on our path, and we’re left with a nasty taste in our mouth. Frustrated that all this hard work seems to be for nothing. Some of us take a break, moving off to other areas of growth, or more likely moving away from God in general. We think if we push away for an hour, or a day, or a week, or a month, then when we come back things will be easier. We were just putting too much pressure on ourselves. Deal with one or two things and then come back. Everything will be fine then. But it’s not. Most, if not all, of the progress we made is lost. Frustration arises. And it all looks like it was for nothing. If we remember that our path to holiness is traveled in footsteps rather than by rockets, we come to appreciate the journey as much as the destination. After all, spiritual growth is about our relationship with Jesus more than doing everything exactly perfectly. Some might find that statement contradictory to the one before saying that holiness is the goal. But how can we become holy like Jesus if we don’t know his holy presence? How can our end goal be to become like Jesus, if we don’t understand who he is, why he’s holy, and what his purpose was in leading us to a relationship with him? We want to immediately throw everything onto the pages of our life’s story. NOW! But we need to understand the thought process of God. He has an order that we must work through. Our way leads only to frustration and the desire to quit. But God’s ways lead to growth. Frustration will still arise from time to time. But with God leading us, we’ll never want to quit because that eternal relationship with him is worth the momentary frustration.